R&R – Referrals & Recommendations! Life is Full of Good & Positive Blessings! We just have to look a little harder on some days & realize “Life is Good”. And remember some of the R&R in our life and how important each one is! Referrals are key to my business &amp; I do have high recommendations from present &amp; past clients, networking associates &amp; friends… to assure you I am the professional & qualified Broker/Realtor you want to represent you whether you are buying and/or selling real estate. You can relax &amp; be at rest because I have your best interest at heart &amp; I am there for you before, during &amp; after; because I reliable, I care, I listen &amp; do, I am trustworthy &amp; honest! 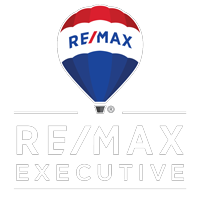 I will respect you &amp; we will all rejoice, because RE/MAX &amp; I together bring you positive RESULTS! Please, CALL ME today 704-661-4166 to learn more & how I can help you with your Real Estate needs! And let’s start working together! It is important to be properly represented in your in your Real Estate transaction(s). THANKS!